I've marked down several things and put them in the Sale Section of my shop. 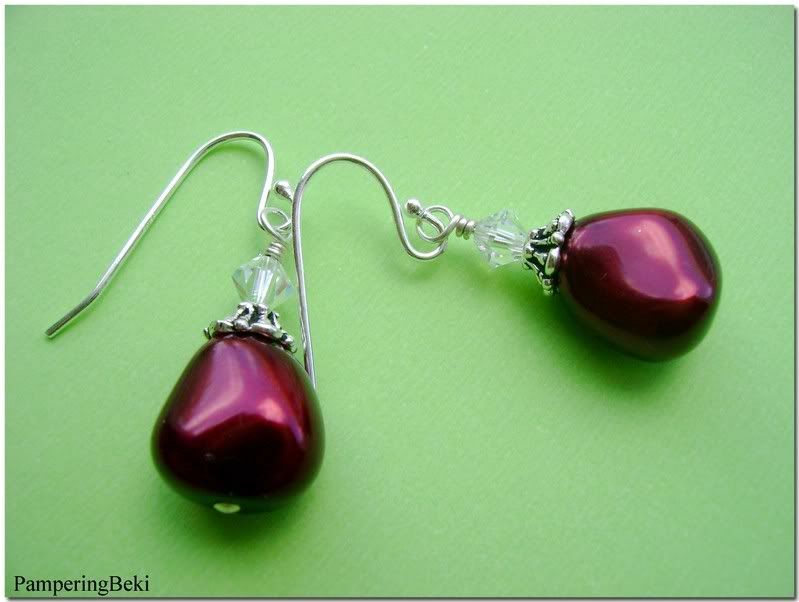 In addition to that, blog readers can get these Iced Cranberry earrings for $9 this week! I'll honor that until Friday, September 19. You can either purchase them through etsy and mention my blog in your checkout notes, or just email me through my profile here on the blog and order them. I have got to clear out some of these beads! They're taking over. Hey....I have those earrings! Just wore them yesterday too.